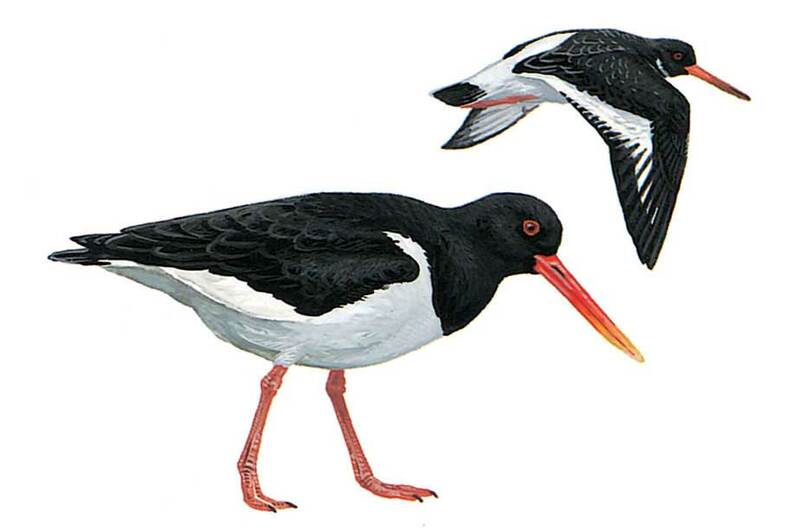 Large unmistakable black and white wader with long, red bill and rather short, red-pink legs (adult). Flight is strong, direct and duck-like and shows conspicuous white wing-bar, white rump and terminal black tail band; non-breeding adult has white neck collar and duller bill-tip. Juvenile and immature have duller black upperparts, dark tip to bill, greyish pink legs and white neck collar. Gregarious after breeding.